The timeline shows the quarterly search advertising sales of NHN Corporation in the period from the first quarter of 2012 to the second quarter of 2012. 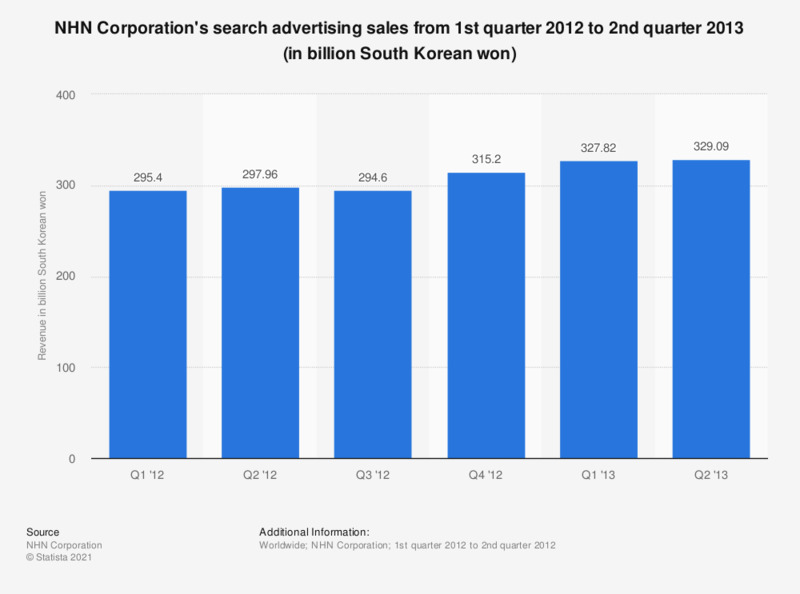 In the fourth quarter of 2012, NHN Corp's search ad revenue amounted to 315.2 billion South Korean won. Q2 2012 was adjusted with Q2 2013 report. NAVER was initially two companies Navercom and Hangame which were established in 1999, and merged in 2000 to become NHN Corporation. NHN changed its name to NAVER Corporation as it spun off its Hangame division as of August 1, 2013.